Aliens have conquered Earth, but they haven’t conquered humanity—yet. A young army conscript battles for survival in this action-packed futuristic thriller that will appeal to fans of Halo and Inglorious Bastards. People used to wonder if we were alone in the universe. Well, we’re not. Not by a long shot. Aliens come in all shapes and sizes, and even the good guys are likely to haunt your nightmares. And oh, you’ll have nightmares, even after you leave the service. If you leave the service. Devin is a reluctant conscript to an alien-run army: when the Accordance conquered Earth, they said it was to prepare against the incoming alien Conglomeration forces. But as Devin travels to the dark side of the moon for boot camp and better acquaints himself with his so-called allies, his loyalties are increasingly tested. Because the enemy of the enemy is not always a friend. Sometimes they’re a far, far worse threat. Zachary Brown is a pseudonym. Brown is a New York Times bestseller as well as a Nebula and World Fantasy Award finalist. "Good old-fashioned military science fiction, this first book in the Icarus Corps trilogy follows a young army con­script from a brutal boot camp, where they’re taught that the Accordance aliens who have conquered Earth are better than the Conglomeration aliens with whom the Accordance is at war. So it’s off to war and new realizations, with plenty of action." 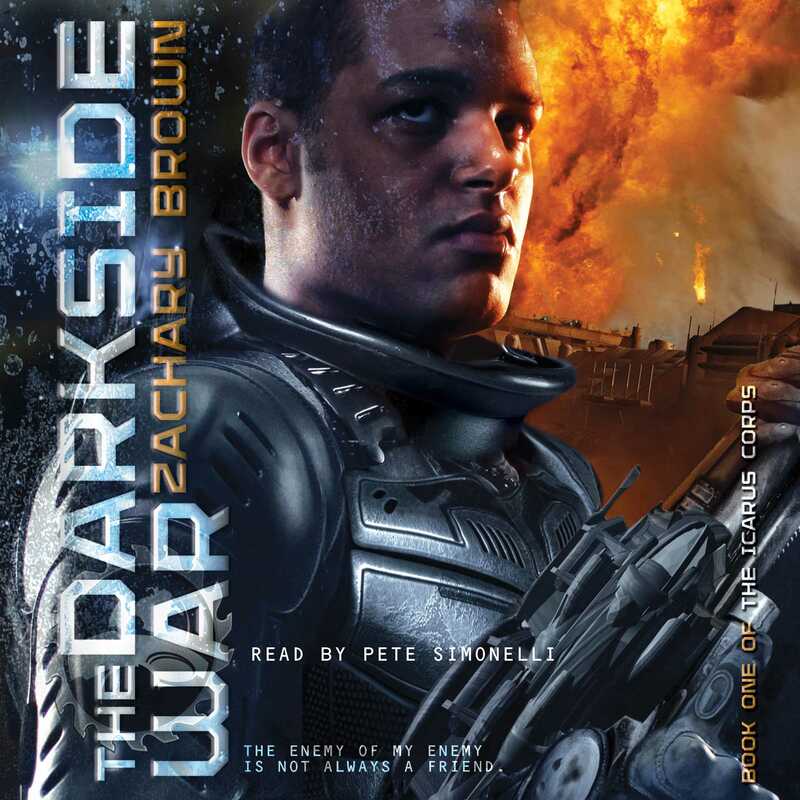 "The Darkside War is a a lean, calculated, knife-thrust of a book that provides a stellar entry-point to military science fiction."